The cost is assessed on a case by case basis as every patient's needs are different. Sometime certain procedures are needed before an implant can be placed. The placement surgery may be straight forward for one client and complex for another. 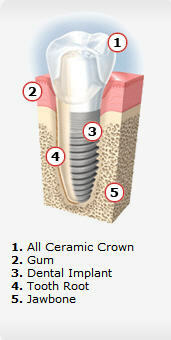 We invite you to come in for a dental implant consultation to learn what the cost should be for the entire procedure.